Former Zanu PF politburo member Kudakwashe Bhasikiti — now opposition Zimbabwe People First (ZPF) top official — has urged ailing MDC leader Morgan Tsvangirai to hand over power. He suggested MDC vice president Nelson Chamisa as the capable Tsvangirai successor. This comes amid growing calls for Tsvangirai to take a backseat in politics on the back of his ill health. The long-time President Robert Mugabe foe is suffering from colon cancer and has of late been in-and-out of hospital in South Africa. Bhasikiti claims Chamisa has the mettle to galvanise the opposition family into one political force to successfully challenge Mugabe in next year’s elections. “If...Tsvangirai is overwhelmed by current medical procedures let’s take a young focused candidate in the name of...Chamisa,” he said. 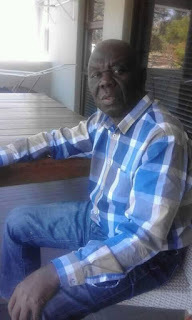 His pronouncements come as an awakening of sorts as ZPF elders — Didymus Mutasa and Rugare Gumbo, both formerly in Zanu PF — have previously disassociated themselves with the MDC Alliance saying its name and logo are tantamount to marketing Tsvangirai. MDC Alliance is a union of seven opposition political parties, which joined forces to challenge Mugabe in the 2018 elections. The Alliance is led by Tsvangirai. Commenting on Tsvangirai’s continued leadership, director of a UK-based think tank APPRI (Africa Public Policy Research institute), Lloyd Msipa, said: “It will be a test of how great a leader Tsvangirai can be if he does the right thing and steps down. Tsvangirai has fought his fight, he has run his race. He has the chance to live behind a credible legacy if he steps down now and leaves a credible successor with time to put together a team to take his party to the next level. That will change the entire political discourse and even boost the voter registration process that is happening”. However, MDC Alliance principals have remained firmly behind Tsvangirai, insisting they will continue to support him as their presidential candidate, despite panic over his health.